The Seahawks will no longer offer shuttle service from Eastside park-and-rides to CenturyLink Field. The team blamed federal regulations for the cancellation, but King County Metro says there’s nothing preventing the team from continuing the service. The Seahawks will no longer offer direct gameday shuttles between Eastside park-and-ride lots and CenturyLink Field, the team announced this week. The team contracted with King County Metro to operate the shuttles, which most recently served Eastgate and South Kirkland park-and-rides. In an announcement on its website, the team blamed Federal Transit Administration rules, which it says forbid Metro from operating the service. But that’s not the case, Metro says; it could continue to operate the shuttles as a subcontractor as it has since last year. Metro had been operating the shuttles, paid for by the Seahawks, at an estimated cost of about $13,000 a game. Passenger fares, $4 each way, were subtracted from that total, and the Seahawks paid the remainder. There are restrictions on Metro operating the shuttle service, but they wouldn’t necessitate canceling the service, Metro said. An FTA rule put in place by George W. Bush’s administration bars public-transit agencies, like Metro, from providing service to games if a private charter service is able to offer the service. U.S. Sen. Patty Murray, D-Wash., won an exemption to the rule for the state of Washington in 2009, when she sat on the powerful Appropriations Committee. When that exemption expired last year, the Seahawks began using a private contractor, as a sort of middleman, to allow them to subcontract with Metro for the shuttle service. 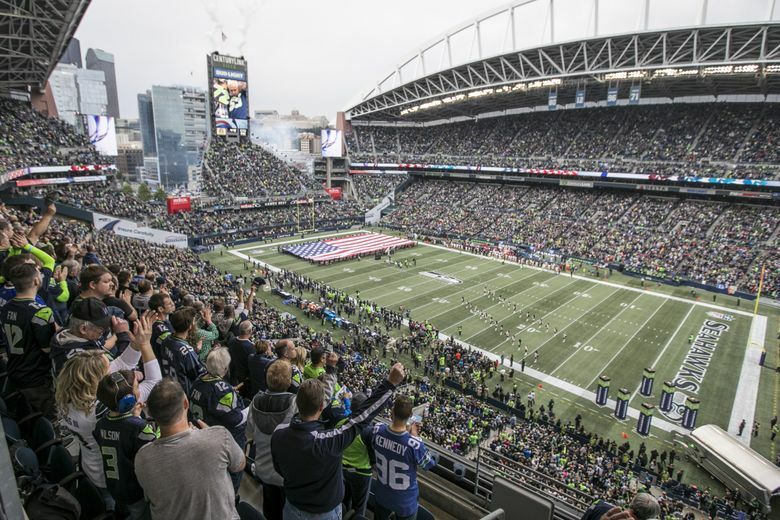 In September, Metro, the contractor and the Seahawks signed a contract to provide shuttle service for home games this year. The contract requires the contractor and the Seahawks to give 30 days written notice to terminate the shuttle service. They did not do that, Metro said. But, because they gave enough notice that Metro did not incur any additional costs in canceling the shuttles, Metro will not seek any reimbursement or other remedy. Regularly scheduled transit service will continue to be available, with Sound Transit Route 554, running from Eastgate to downtown, and Metro Route 255 running from South Kirkland to the International District.